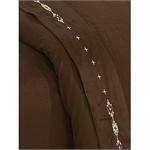 Western Bedding Sheets, Western Decor for your bedroom, Western sheet sets, Laredo Star embroidered Copper, Cream or Chocolate Mocha Sheet Sets, Barbwire embroidered in colors choices of Copper, Cream, or Chocolate Mocha Sheet Sets. New! 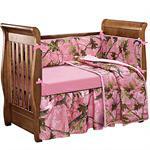 Cowgirl Pink Paisley Sheet Sets are now available. 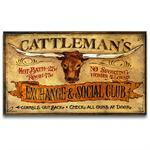 Detailed cowhide print in chocolate make this the ultimate western sheet set. 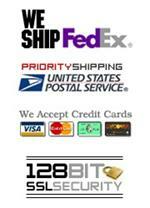 Deep pocketed fitted sheet fits either a pillow top or standard mattresses. Soft 350 Thread count. Available in sizes from Twin up to Cal-King. 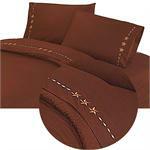 Absolutely luxurious and with the embroidered Navajo design make this the ultimate Southwestern sheet set. 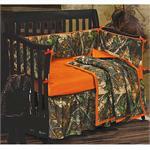 Deep pocketed fitted sheet fits either a pillow top or standard mattresses. Soft 350 Thread count. 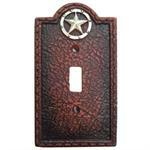 Available in sizes from Twin up to Cal-King. 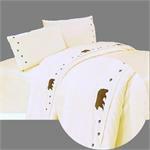 Absolutely luxurious and with the embroidered Navajo design make this the ultimate Southwestern sheet set. 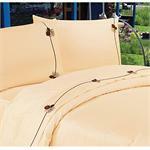 Deep pocketed fitted sheet fits either a pillow top or standard mattresses. Soft 350 Thread count. Available in sizes from Twin up to King. 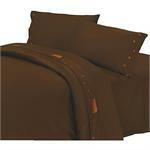 Detailed cowhide print in chocolate on a cream micro-suede makes the ultimate western bedding sheet set. 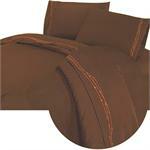 Deep pocketed fitted sheet fits either a pillow top or standard mattresses. 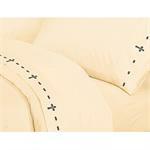 Soft 350 Thread Count 100% Cotton. Available in sizes from Twin to King.